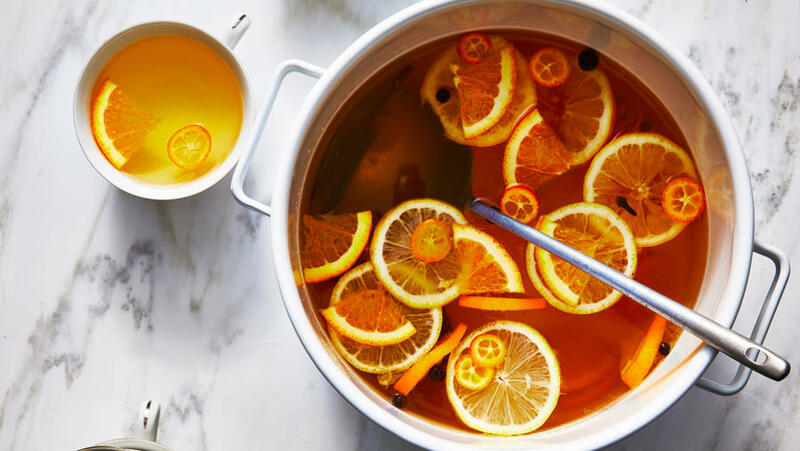 Warm coriander and pungent cardamom―instead of the usual cinnamon―give this traditional spiced wine an earthy floral twist. 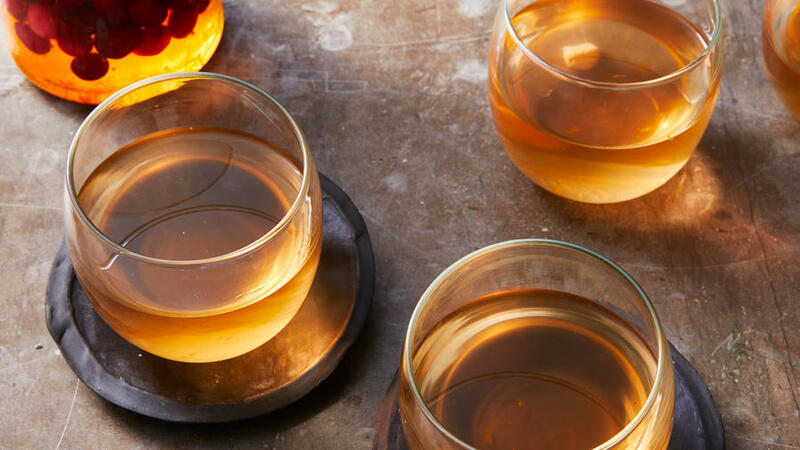 Cranberry and Spice Tea "Toddies"
Perfect for revelers of all ages, this lightly sweet herbal tea goes well with cookies and other desserts. 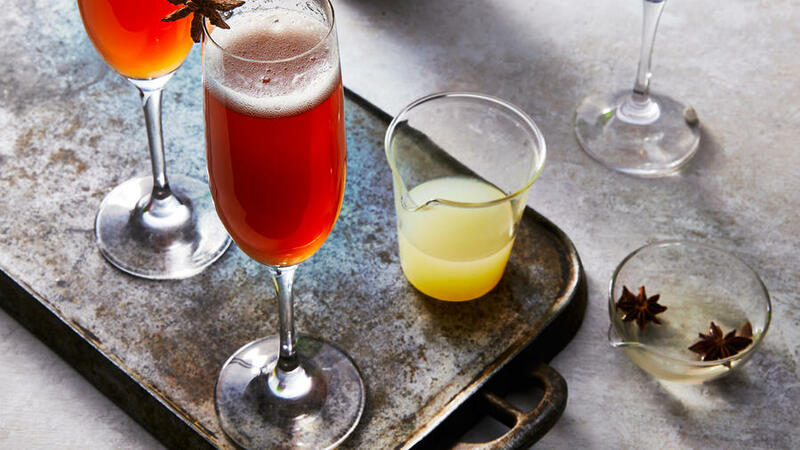 Recipe: Cranberry and Spice Tea "Toddies"
This dessert-themed beverage, a cousin of rum punch, lives up to its evocative name. 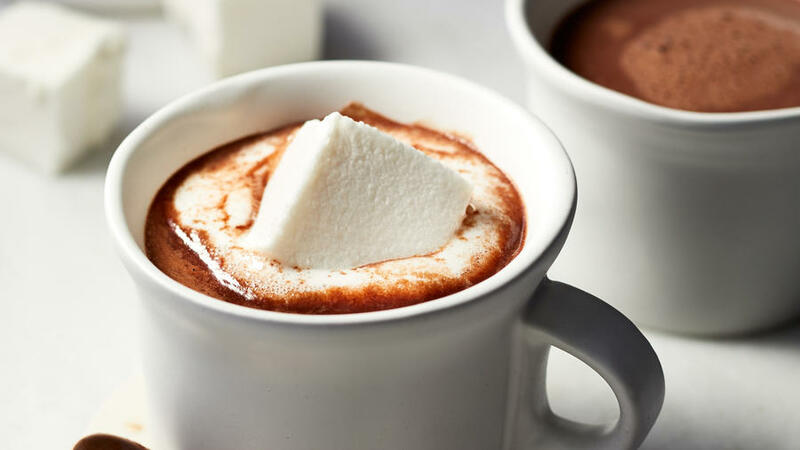 On a chilly day, our grown-up version--rich with bittersweet chocolate and punched up with French brandy--will warm you to your toes. 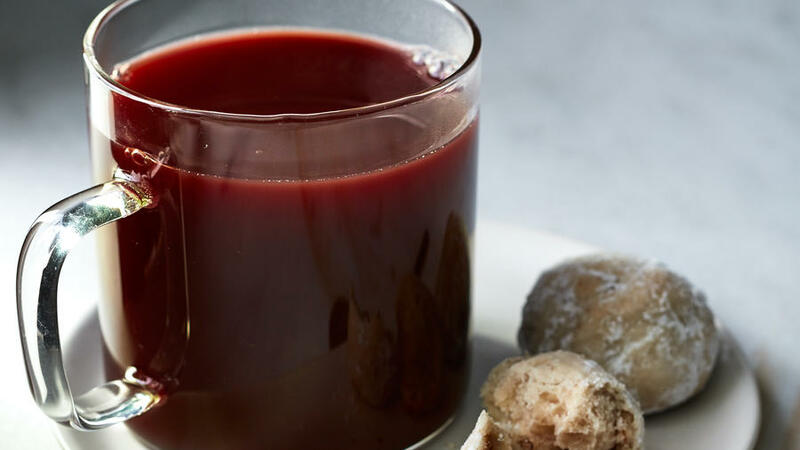 Our favorite new holiday beverage is a delicious hot cider made with honey and steeped with dried hibiscus blossoms. 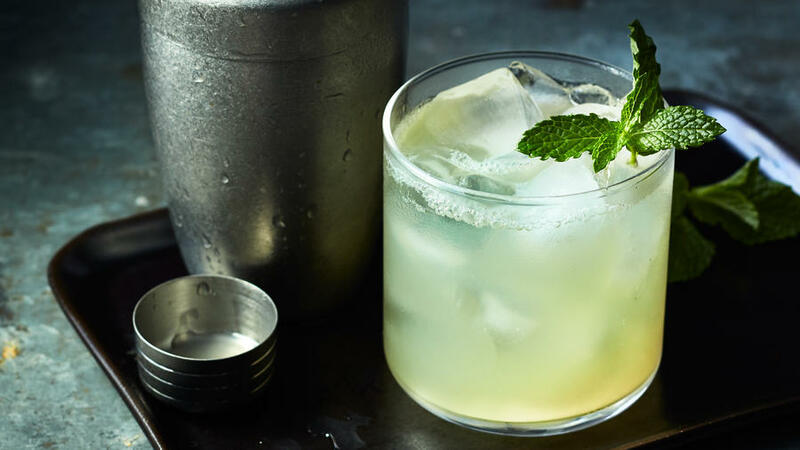 A tart, refreshing, nonalcoholic drink that's appealing to mojito fans. 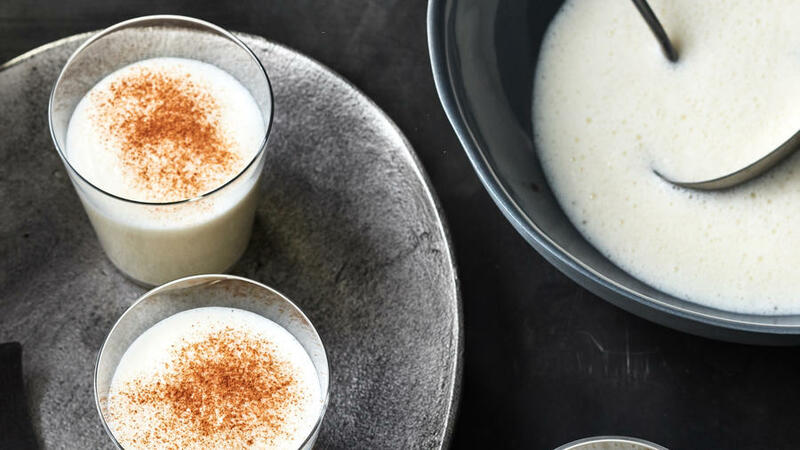 This sweet (but not too sweet) drink should be made one at a time in a cocktail shaker. 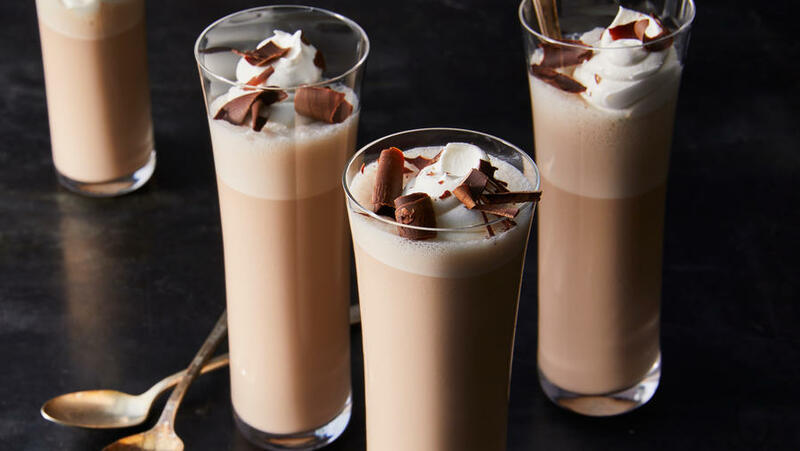 Energetic shaking and a proper drink-to-ice ratio―possible only in a shaker―are key: The ice dilutes and softens the cocktail, encouraging the otherwise sharp flavors to meld together. 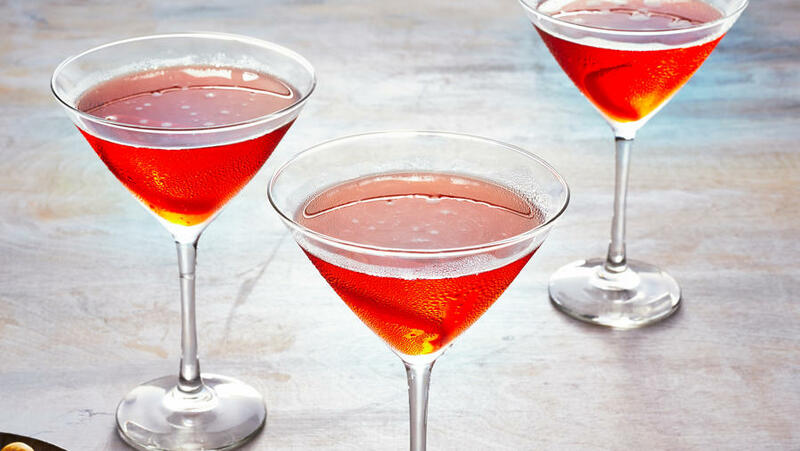 Much of a negroni's flavor comes from Campari, a bitter Italian aperitif. 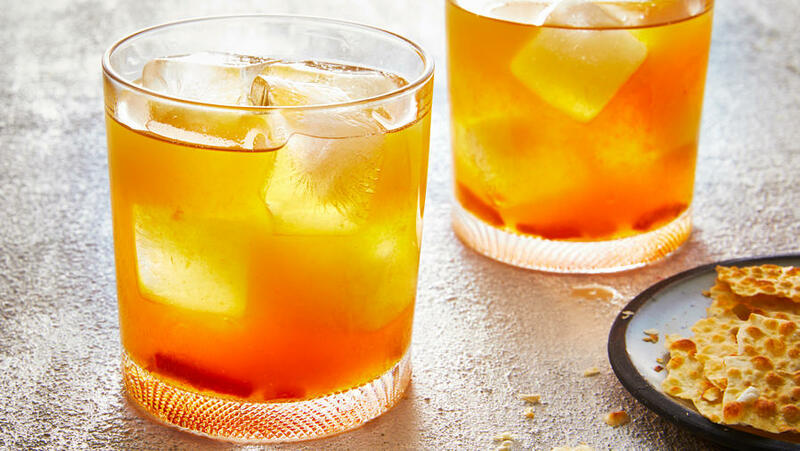 This take on a classic whiskey sour uses marmalade in lieu of simple syrup to sweeten the mix. 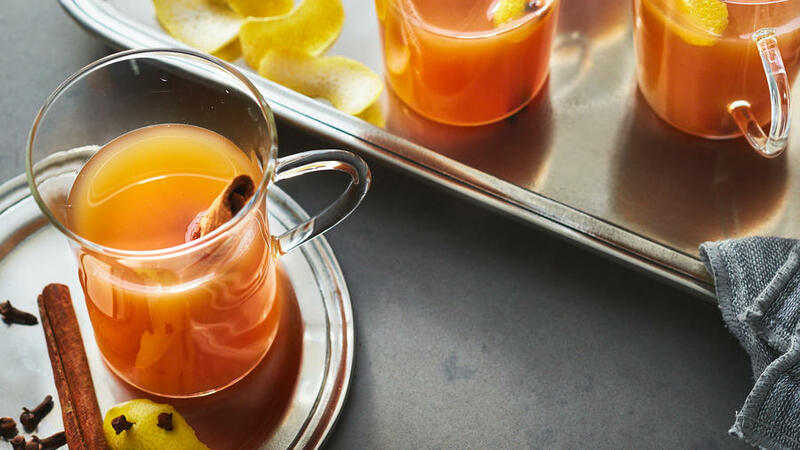 The extra citrus flavor and chewy bits of orange peel will convert any neophyte to the magic of this versatile drink. 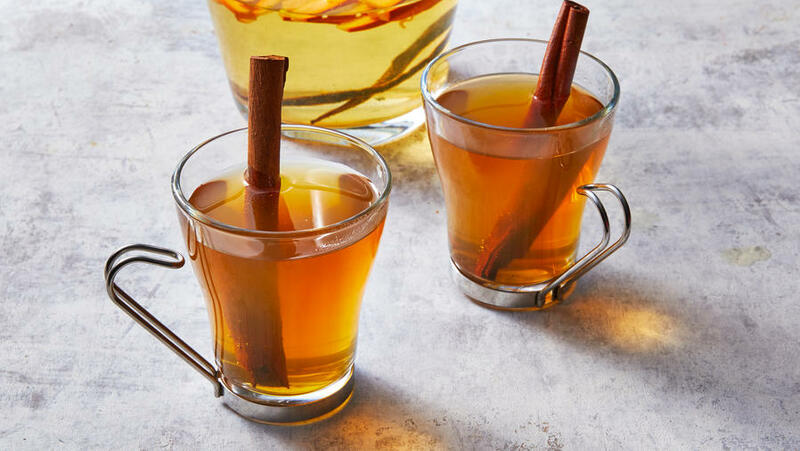 Steep warm spices in cider, then spike the drink with a generous dose of dark rum. 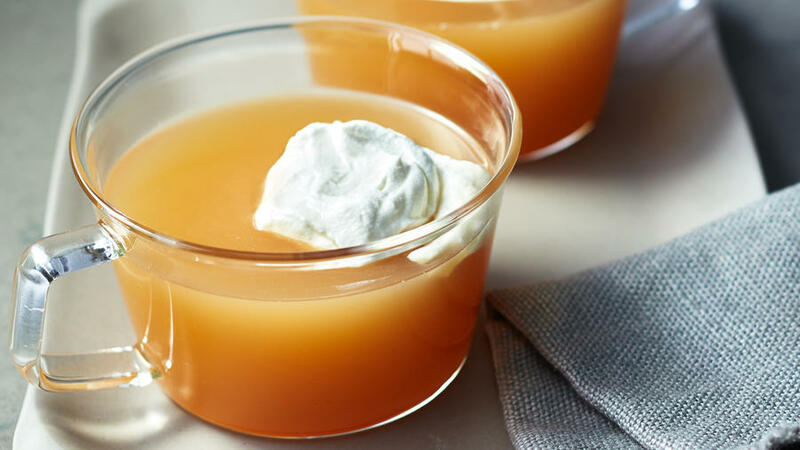 Replace red wine with apple juice and omit liqueur to make a non-alcoholic punch. 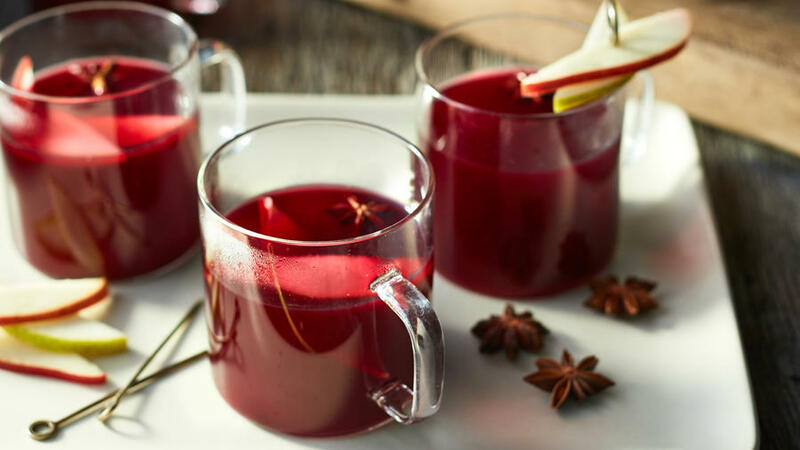 Cranberry juice gets infused with a kick of ginger and spiked with lime juice for a warming winter drink that the whole family can enjoy. 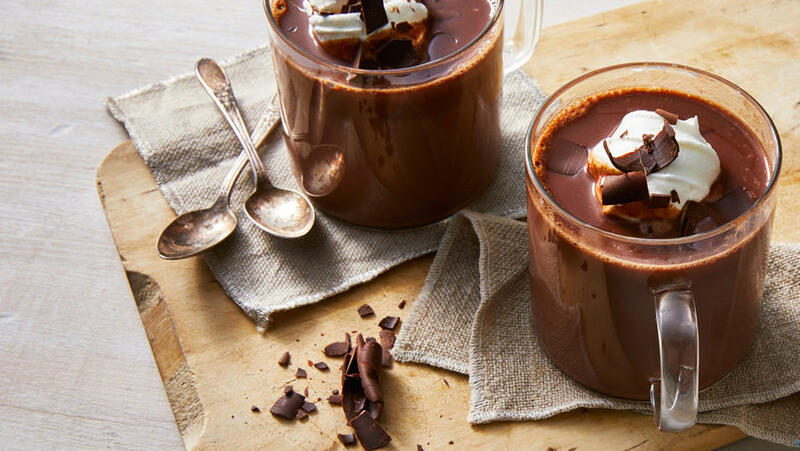 It's everything we love about dessert, only more portable and fun to hold in your hands. 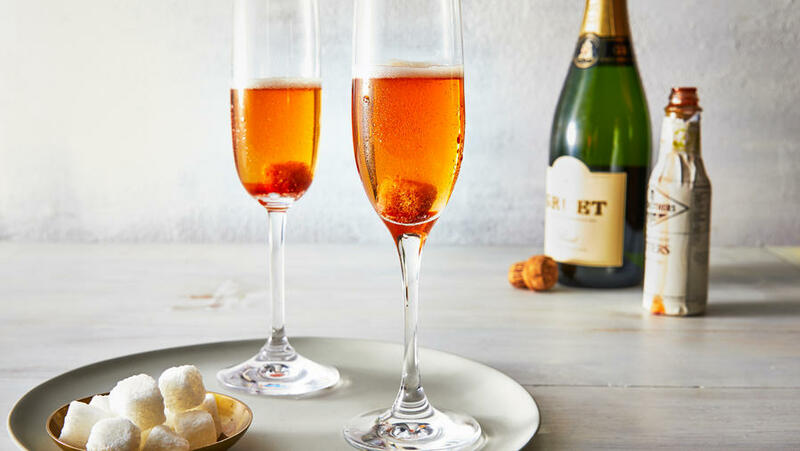 Once a widely popular and sophisticated drink, the Champagne Cocktail fell out of favor for decades, deemed sweet and silly. We find it to be neither. 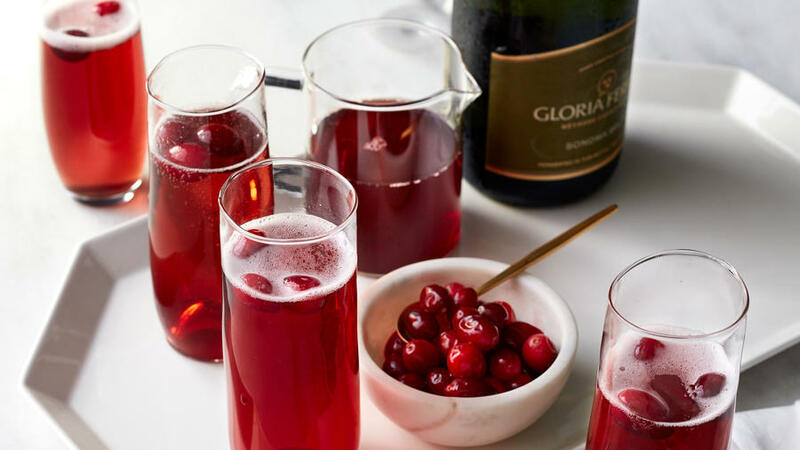 The sugar and bitters balance the natural acidity of sparkling wine, and the cocktail pairs very well with both creamy cheese and earthy mushrooms. 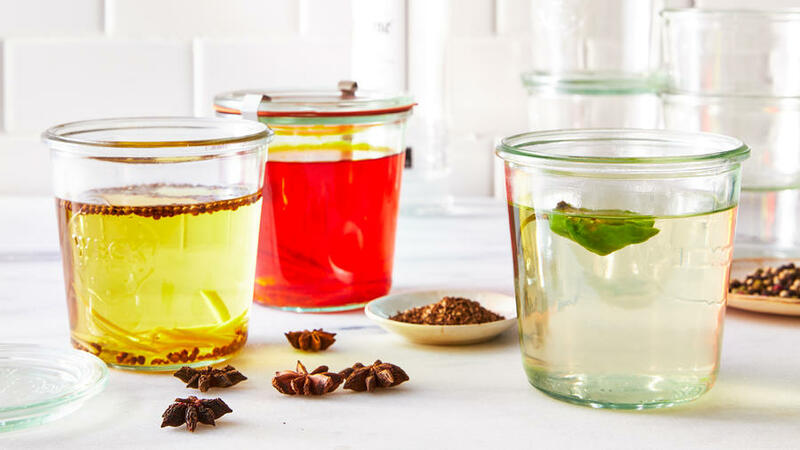 Our infusions range from traditional caraway to updated saffron-orange. 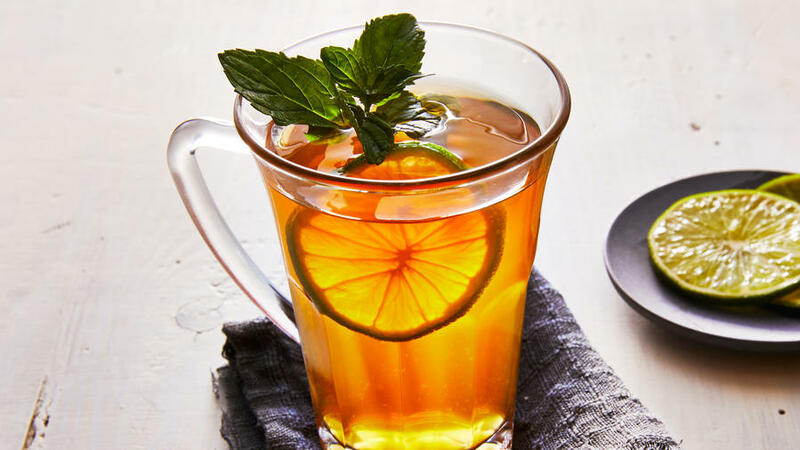 Lemon-lime or club soda can be used in place of cognac and Champagne for a nonalcoholic version. 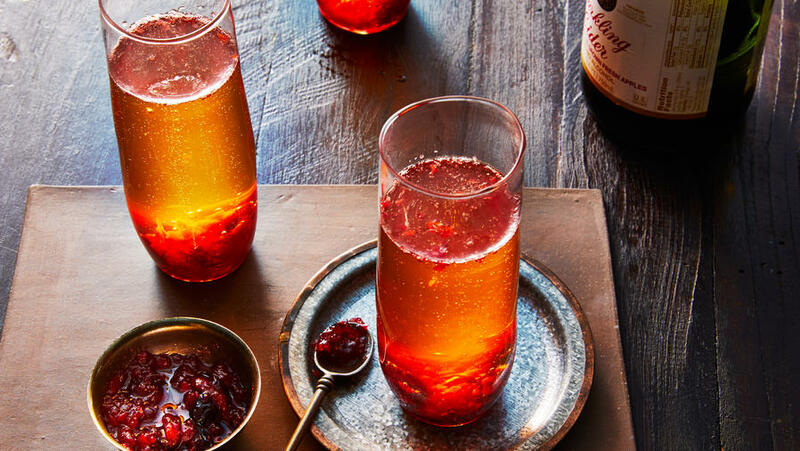 A lively, aromatic, fizzy fluteful that makes a good non-alcoholic stand-in for a kir royale. Combine Interrobang Recipe No. 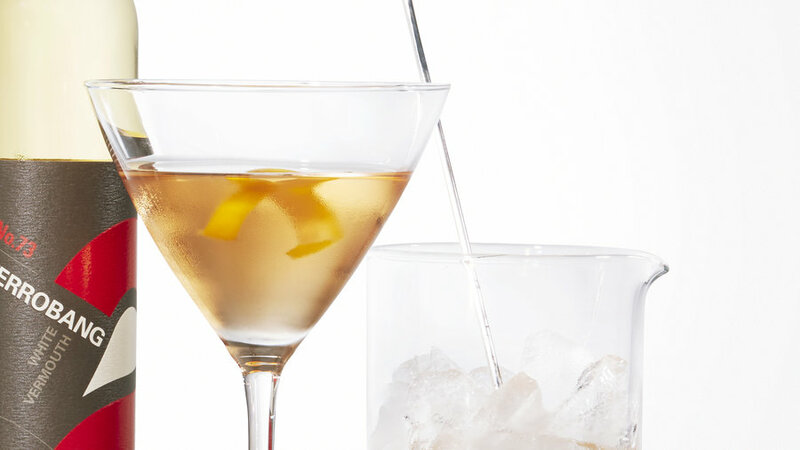 73 white vermouth, London dry gin such as Tanqueray, Angostura bitters and a lemon twist to make this drink. 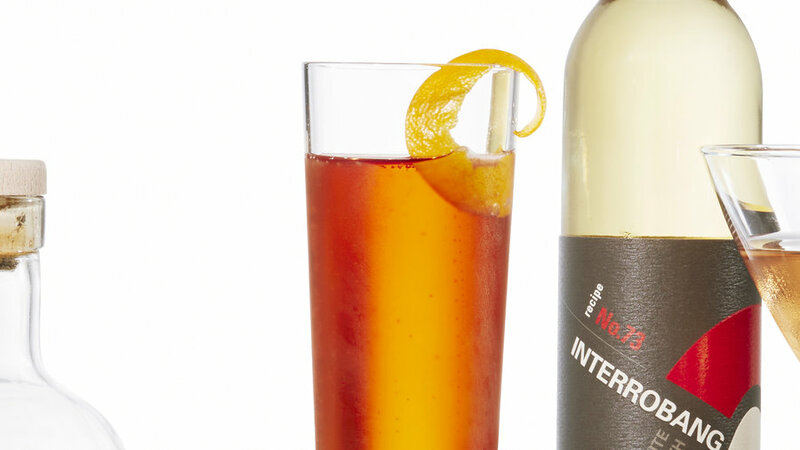 Combine Matthiasson sweet vermouth, rye whiskey, and orange bitters to create this drink. 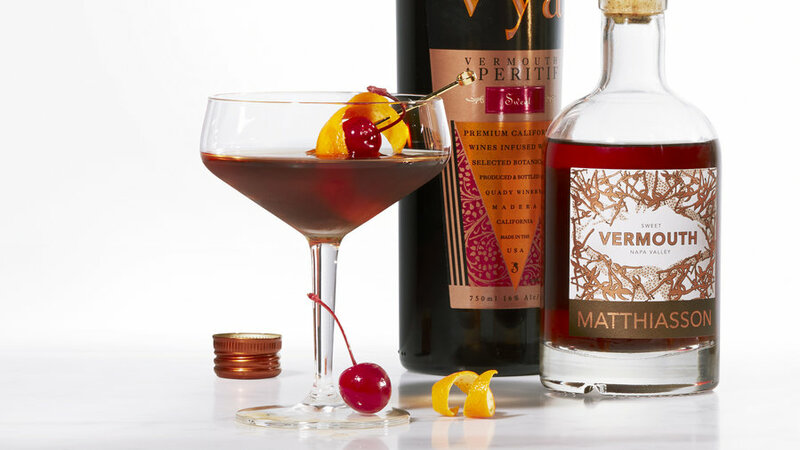 Make this cocktail with Vya sweet vermouth, Aperol, and brut sparkling wine. 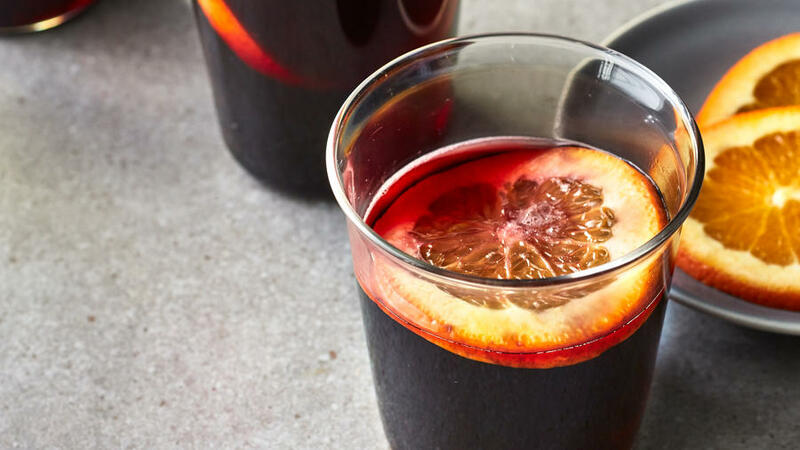 Mulled wine is traditionally made with red, but this lightened up version using a lean white wine that hasn't been aged in oak and a multi-citrus base gives the holiday classic a refreshing twist. 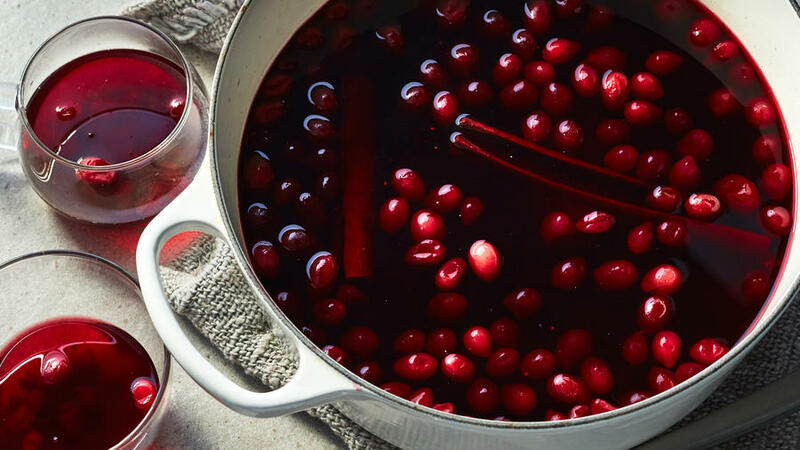 This wintertime take on the classic French aperitif substitutes cranberry elements for crème de cassis. 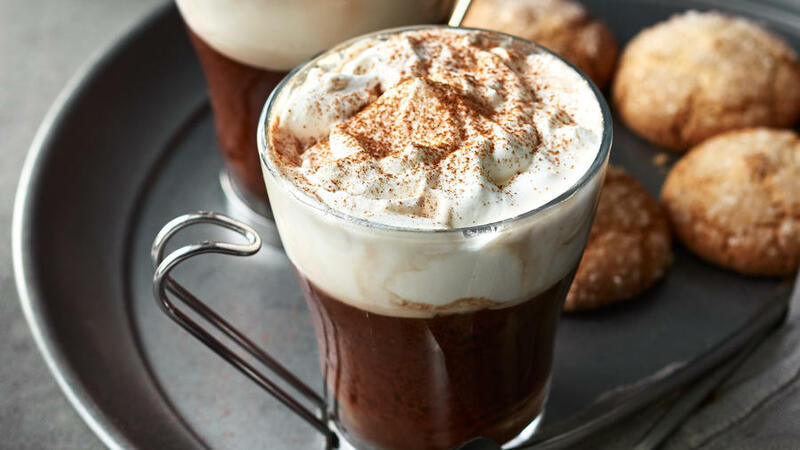 This decadent spin on egg nog involves chocolate, Kahlua, and Frangelico. Mojitos are traditionally served cold. 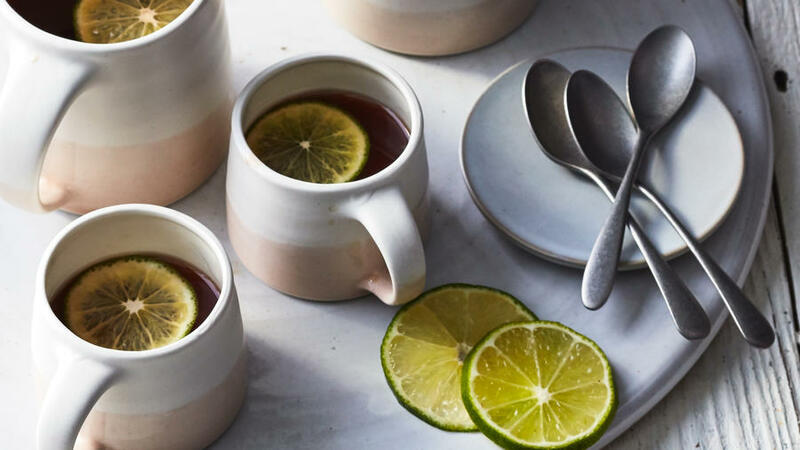 In this winter party-ready version, we've turned the temperature up but still keep the mood tropical with mint sprig and lime slice garnishes. 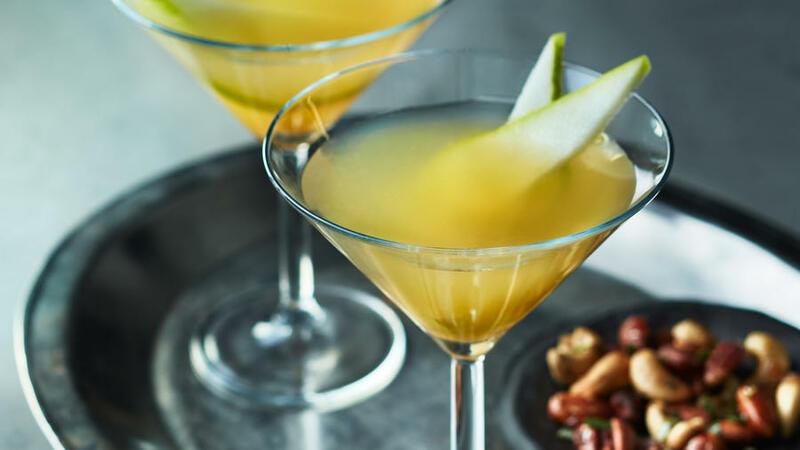 Pumpkin- and vanilla bean-infused vodka mixed with spiced cider forms the ultimate cool-season drink. If the combo of chocolate and vanilla bean wasn't enough to get your attention, we've got two words for you: caramel sauce. As in, mixed in. 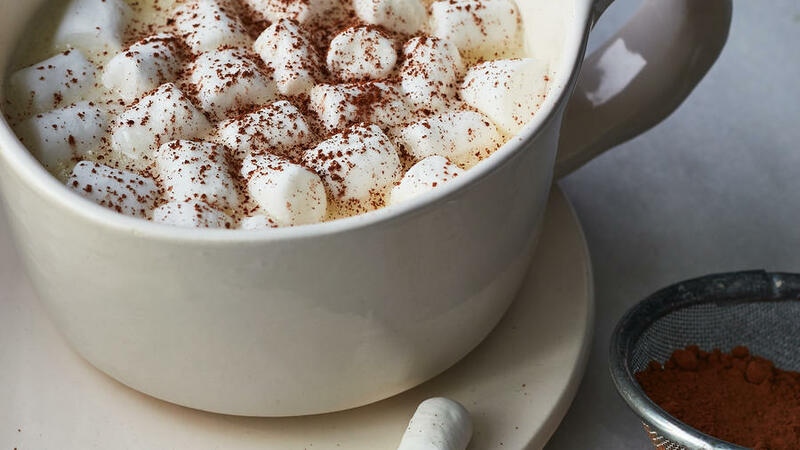 We recommend making this at least one week ahead (or even up to four weeks in advance) for maximum flavor. 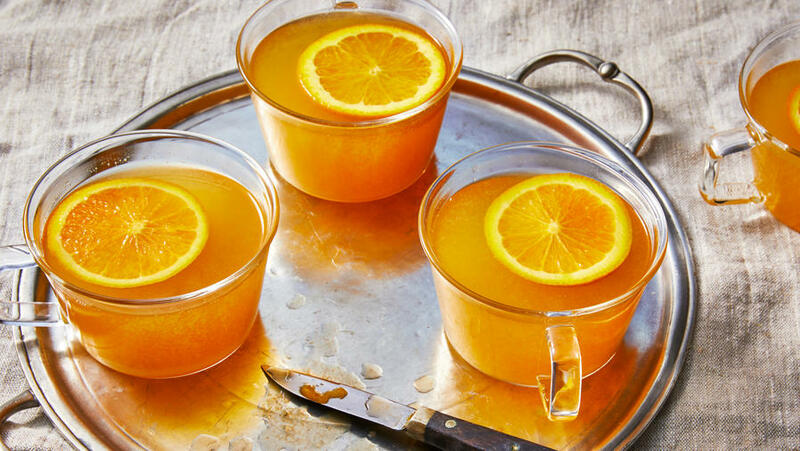 This fruity punch is made with a dry white and a dessert wine, but for a nonalcoholic version, you can substitute white grape juice for the wines. 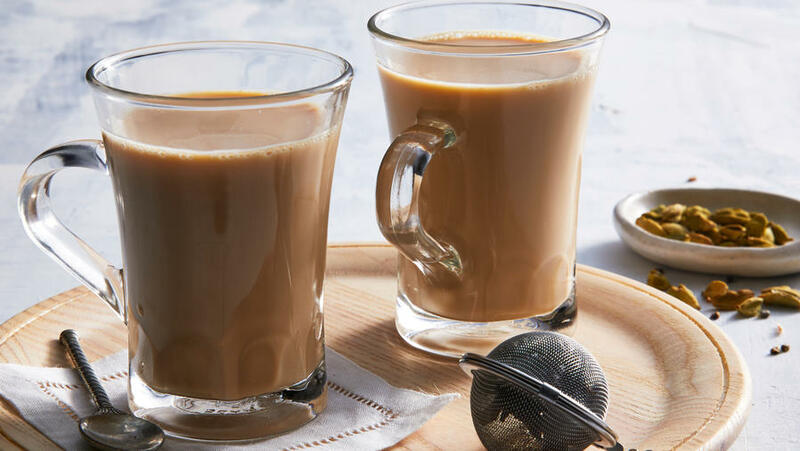 A cardamom- and ginger-warmed tea that can be served hot (with milk) or on ice.